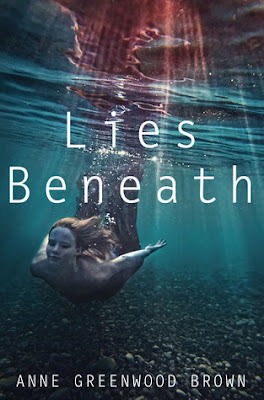 Lies Beneath is the debut novel of Anne Greenwood Brown. Forget everything you know about merpeople as Brown gives us a glimpse into the darker side of the mermaid-myth. When I began reading this, I thought it was going to be a dark tale and I was really excited. It turned out to be lighter than I anticipated but I still ended up enjoying this tale. Lies Beneath has elements of danger, romance, family struggles and revenge. The tale begins when we meet protagonist merman, Calder White. He is spending time alone before his family sends the signal that they must migrate. We learn that merpeople in Brown's world feed of humans, absorbing their energy in order to survive. Sadly this kills the human. Calder is different, as he has avoided feeding all winter. Despite the urges he is uncomfortable with feeding. He receives a call from his sisters telling him they have located Jason Hancock. They will spend the summer seeking revenge against the human they blame for their mother’s death. The tale that unfolds is suspenseful as Calder, struggles between honoring his mother, breaking free of his sister and falling in love. As they plot revenge, the Hancock family is moving in to the old family estate located on the shores of Lake Superior. The characters in Lies Beneath are all unique. Calder is unbelievably handsome, independent and a mer-misfit. He doesn’t enjoy feeding on humans and prefers to swim alone. Despite this he agrees to help hunt and trap the man responsible for his mother’s death. When he meets the Hancock’s things change, as he begins to like this family. We witness his internal struggle as the tale is told from his point of view. I didn’t completely connect with him, but I think part of it was because he wasn’t completely human and his thought process was different. At times he was overly cocky and awkward. His sisters; Tallulah, Pavati, and Marisa behaved exactly as Brown described merpeople. They hunted and fed as needed. They freely used their abilities and I found myself both liking them and being repulsed by them. I didn’t feel any love connection between the siblings. The only connection seemed to be revenge. The only human we really got to know is Lily, although other characters help tell the tale. Lily is unique; she likes English poetry and dresses in her own creative style. She dreams of being a poet or writer. She is bright and quickly begins to piece things together. I liked that despite others efforts she manages to see through drama and form her own opinions. The world-building was fascinating and reminded me of old siren tales, long before the popularity of the Little Mermaid. There have been a slew of mermaid-books of late, and I found Brown's take refreshing. It has a lot of dark elements and I would have liked to have seen more of it. The romance between Lily and Calder was sweet and ultimately changes Calder. The back-history, unique abilities and mer-life style were original and I enjoyed reading it. Brown’s take on how merpeople reproduce was both interesting and frightening. I easily consumed this as the pace and writing style flowed well. While the plot was predictable, I enjoyed the ending nonetheless. I think fans of paranormal romance and merpeople will enjoy Lies Beneath's originality. 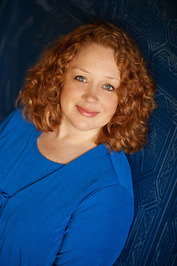 Book two, Deep Betrayal, told from Lily’s perspective will be released in 2013. I have added Anne Greenwood Brown to my authors to watch list and look forward to continuing this story. I want to thanks Random House and netGalley for providing this ARC in exchange for my unbiased review. I gave this novel 3.5 coffee cups out of 5. Great review! I did read this and thought it was merely OK, nothing to swoon over, but what confused me the most was the 'romance' between Lily and Calder. I never knew when it was acting and when it wasn't, but other than that, I thought the setting of the book and the story overall was quite good. Great review Kimba. I'm a bit fed up with mermaid books for now but this is on my TBR list it sounds pretty good with an intriguing world building. Too bad it doesn'T go far in the dark elements THAT I would have liked. Glad you enjoyed it! I saw a lot of mixed opinions on this one so far. I haven't read many reviews for this book, but the few reviews that I have read have been mixed like yours. I love that the merpeople aren't exactly all good. It's really too bad that the author didn't explore the darker side of this book since I have a feeling I would have liked it better. Still, I'm glad that the book is told in Calder's POV. It should be an interesting read. Great review. I felt the same way you did that I would have been better if we got the darker side. It was still a good read though. Sounds like this one might have been better had it been a bit darker...but still might be a promising series... I think I'll wait until reviews for book 2 come out before making a decision on this one. Wow! This book is everywhere this week. I have had this book for far too long. I am glad overall you enjoyed it,Kimba. I think the dark tone and the male merman Pov are a nice change! Great review! I'm really looking forward to reading this one. But I also thought it woould have more darker elements but I'll probably enjoy it nonetheless. I've just read a novel about mermaids called Florence by Ciye Cho and I really enjoyed it (if you like novels with this theme, I certainly recommend this one!). And I find it funny that the author started her series with a novel written from the POV of the male character?! Original! Cool review! I've never heard of this book before. It sounds interesting. Very cool review, Kimberly. I also read Lies Beneath and found it good but not great. The story itself was a fun read but I wanted more. Great review. I haven't read any mermaid books, but I have seen a lot of reviews for them lately so I don't know. This book sounds interesting, and I like the fact that you get to see a darker side of mer-people. I'll definitely be checking this book out soon! Great review!I liked this one as well, and I loved how dark the mermaids are. Calder's sisters were certainly unique, lol. This is only my second mermaid book so I'm actually really interested in reading more now. oh so now I'm curious if you've read any of the other mermaid books out this year! Great review.